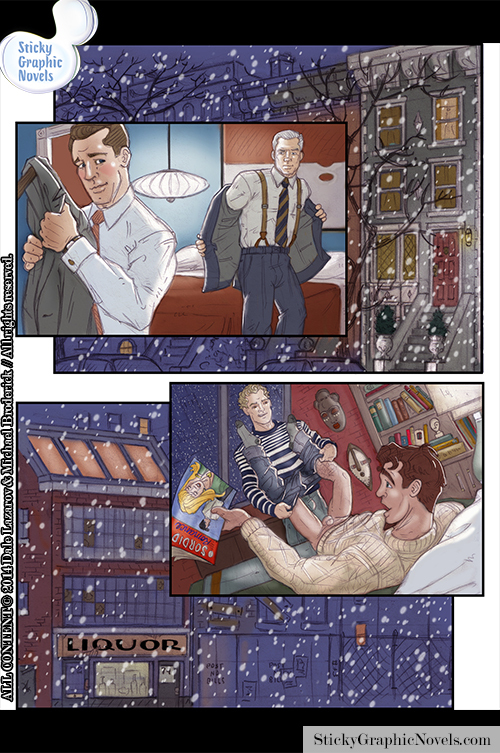 In FAST FRIENDS, two men accidentally find refuge, in each other’s strong arms, from both a winter storm and the cruel lovers who don’t cherish them. 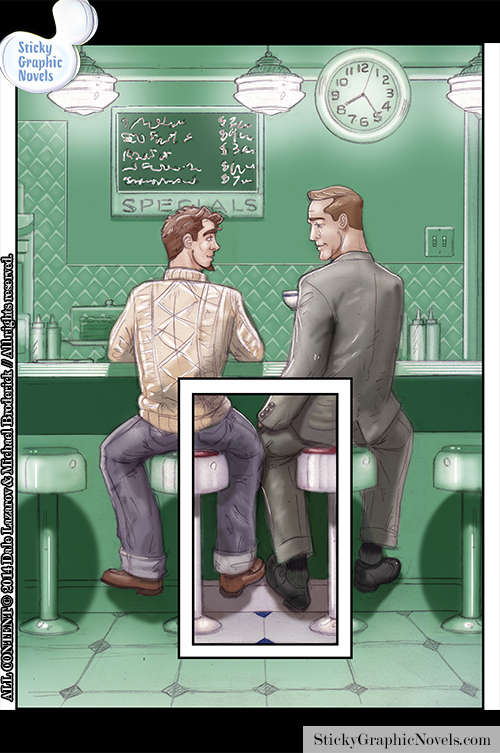 Without words, Lazarov and Broderick tell a story in graphic novel form that’s rich in detail, feeling, and sexual sensitivity. 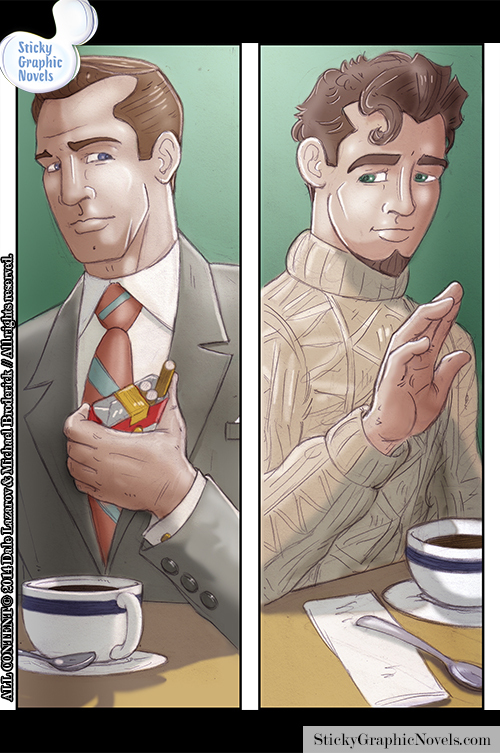 Script and art direction by Dale Lazarov, Linework and colors by Michael Broderick.